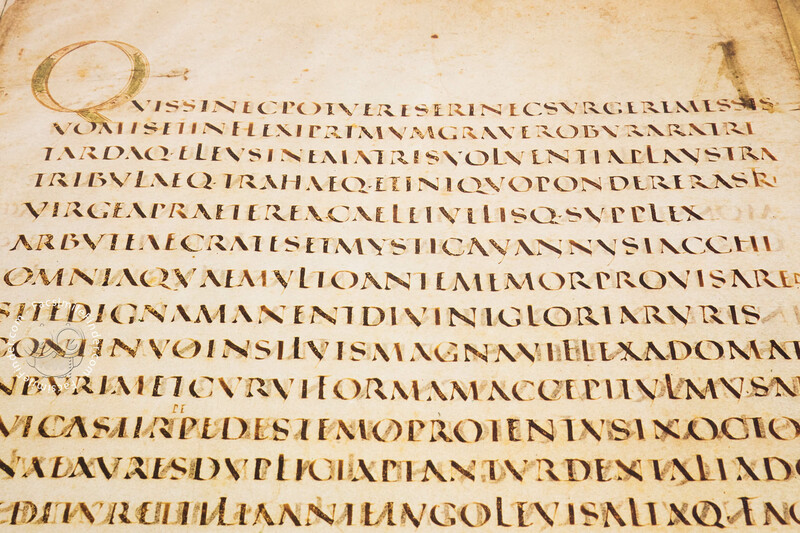 What makes the Vergilius Augusteus so famous? 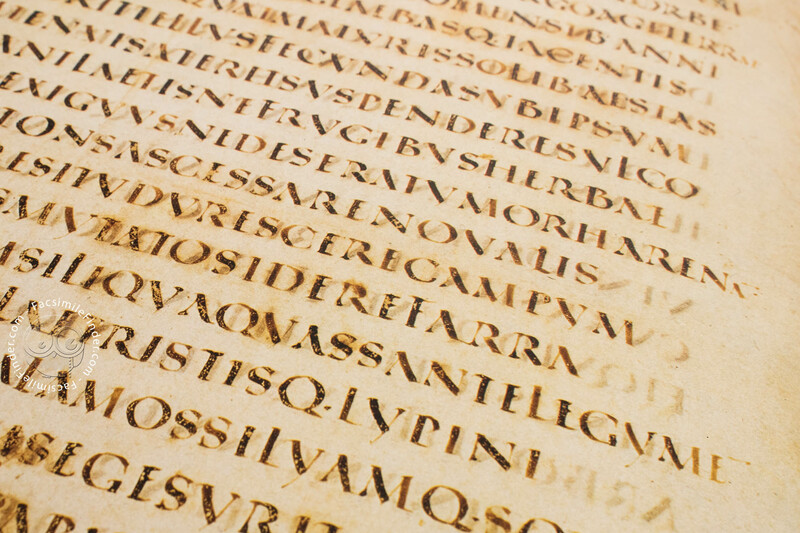 The philologist will answer that it is one of the very extant copies of the Vergilian text. 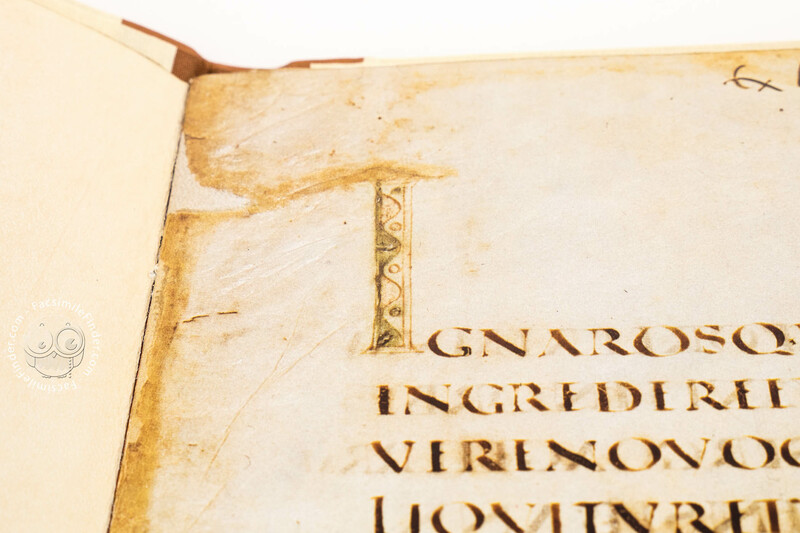 However, at the same time he will have to admit that the modest number of verses – 284 out of originally nearly 13,000 – limits its importance as a textual witness considerably. In fact, had the fragments never appeared, it would have made little difference to the current critical edition of Vergil’s opera maiora. 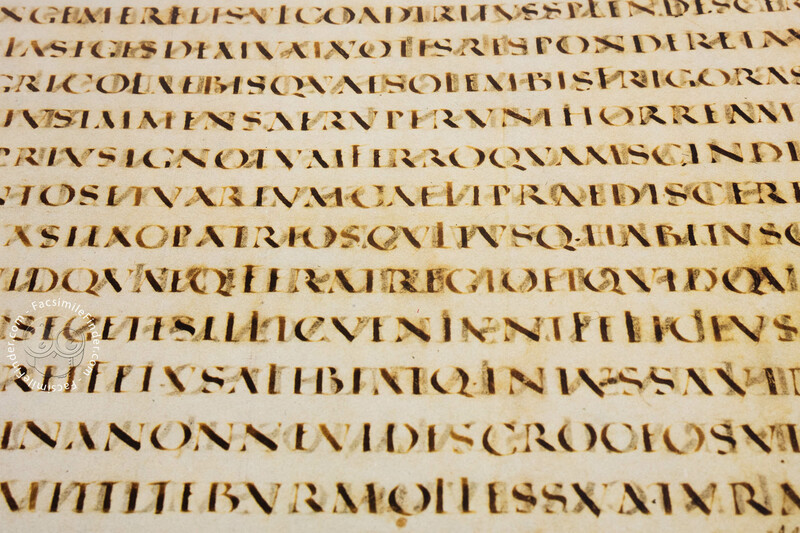 The palaeographer will feature the Vergilius Augusteus as one of the few remains of a rare form of Late-Classical majuscle script, The Capitalis quadrata. 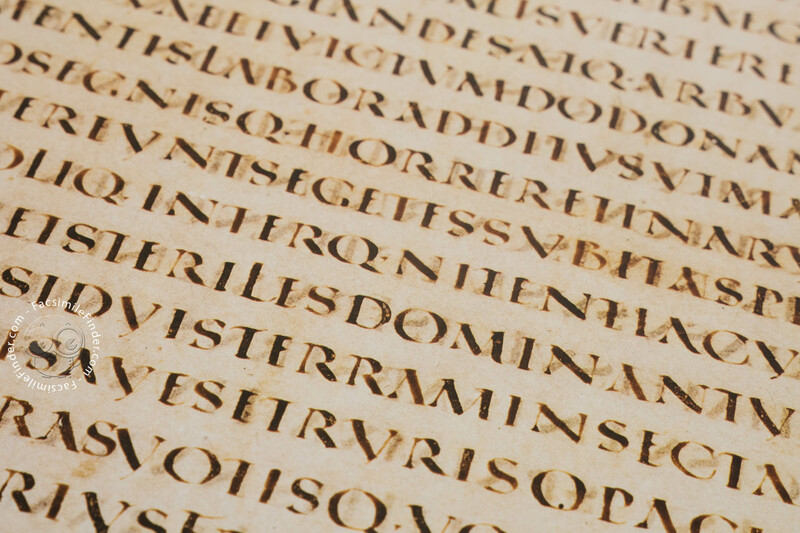 However, being a somewhat artificial branch on the tree of Latin handwriting, this particular form of lettering was of short duration and did not notably influence the development that followed. 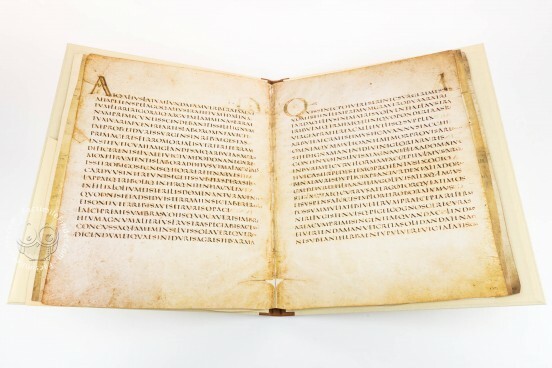 For the art historian the Vergilius Augusteus is a document of primary historical importance, since ist fifteen decorated letters mark the beginning of the development which in due time would lead to the virtually numberless initial in thousands upon thousands of Medieval manuscripts. 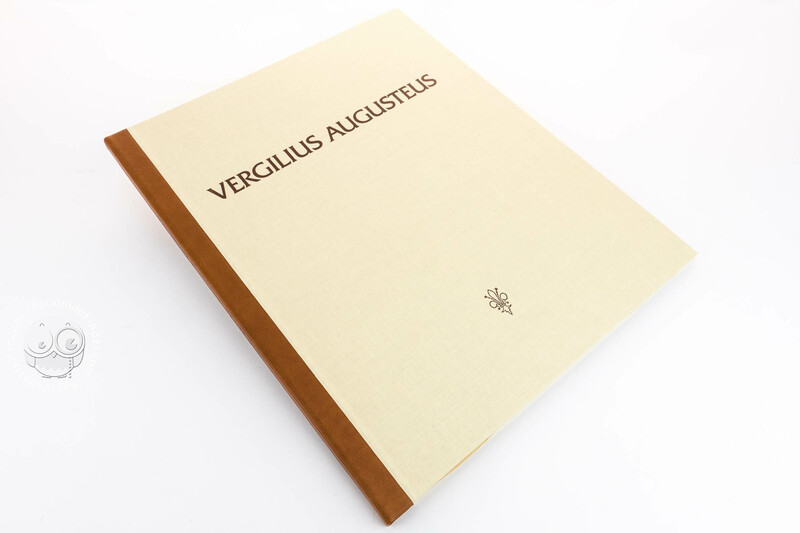 Thus, it may be said that the greatest importance of the Vergilius Augusteus resides in its decoration, for all the latter’s seeming modesty. 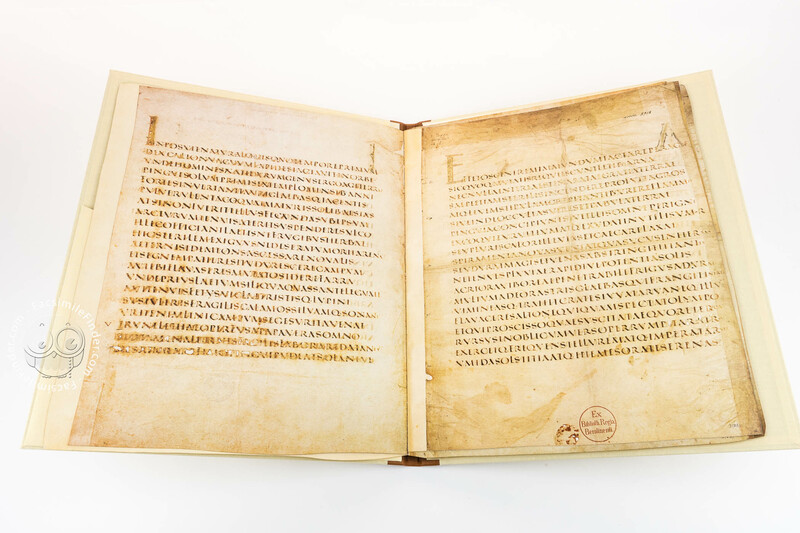 Manuscript book on parchment − 42 × 34.5 cm − 14 pp. 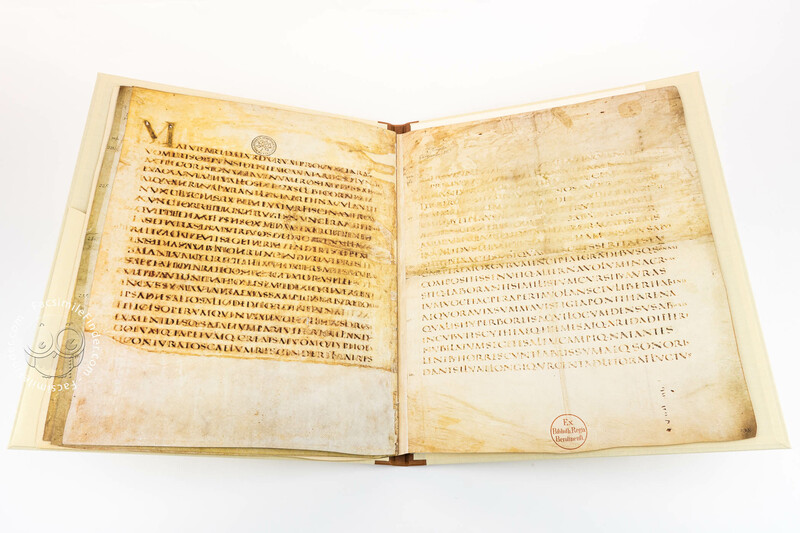 Full-size color reproduction of one or more portions of the original document, Vergilius Augusteus: the facsimile attempts to replicate the look-and-feel and physical features of the original document; pages are trimmed according to the original format; the binding might not be consistent with the current document binding. 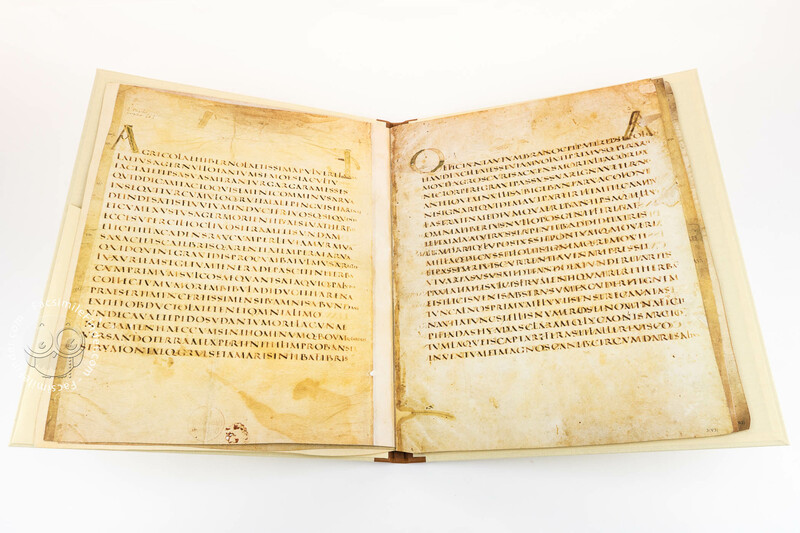 The facsimile is an unabridged reproduction of all the fragments of the Vergilius Augusteus that was once an individual document. Complete color facsimile edition of the 14 surviving pp. (7 fol.) of the original document. 3 fol. 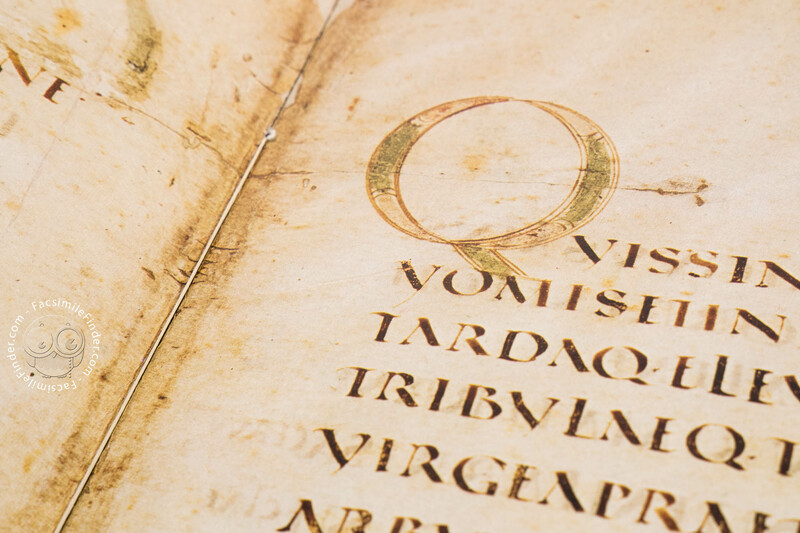 from the Staatsbibliothek Preußischer Kulturbesitz, Berlin and 4 fol. 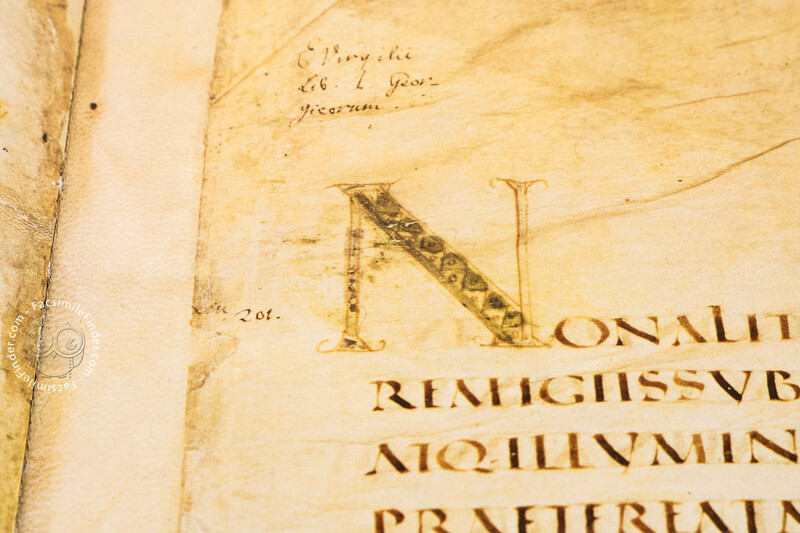 from the Biblioteca Vaticana in original size.